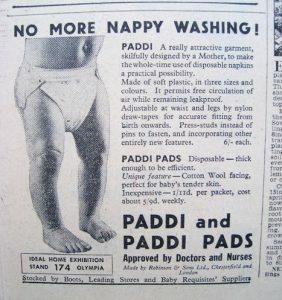 1950s ad for Paddi, featuring Gordon’s son Nigel. By 1949 she was awarded a patent, and she found a manufacturer willing to make them (using plastic rather than old parachutes), and a store chain — Boots — willing to sell them. 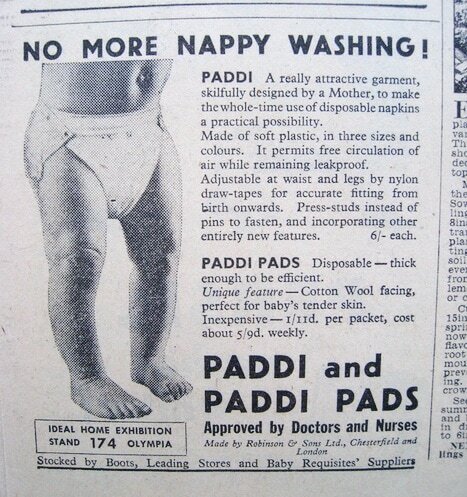 Various companies tried to buy the company out, but “Paddi” rebuffed the offers, and their product sold well until 1961, when American company Procter & Gamble came up with Pampers. 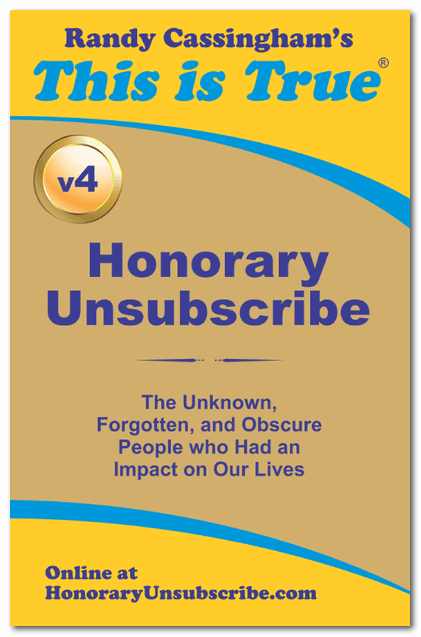 With those, mothers threw out the entire thing, rather than just the inserts. That was considered wasteful and unsustainable, but it was more convenient and that type now rules the market. She had three more children, and all used the Paddi. Gordon went on to develop “Nikini” — the first “modern” sanitary towel for women, which actually earned her more in royalties than her nappies. That surprised her, though “there are probably more menstruating women in the world than incontinent babies,” she said. Gordon died at her home in Scotland on October 16. She was 94.